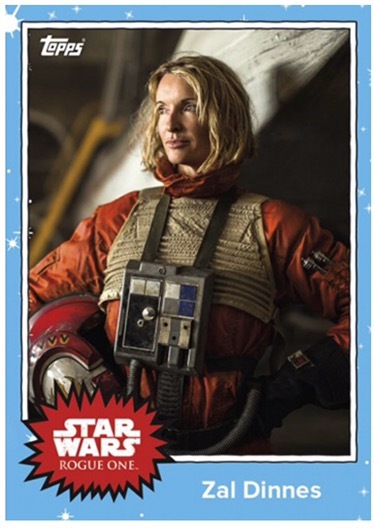 On October 15, Entertainment Weekly revealed an exclusive look at new Rogue One images in the form of Topps trading cards. 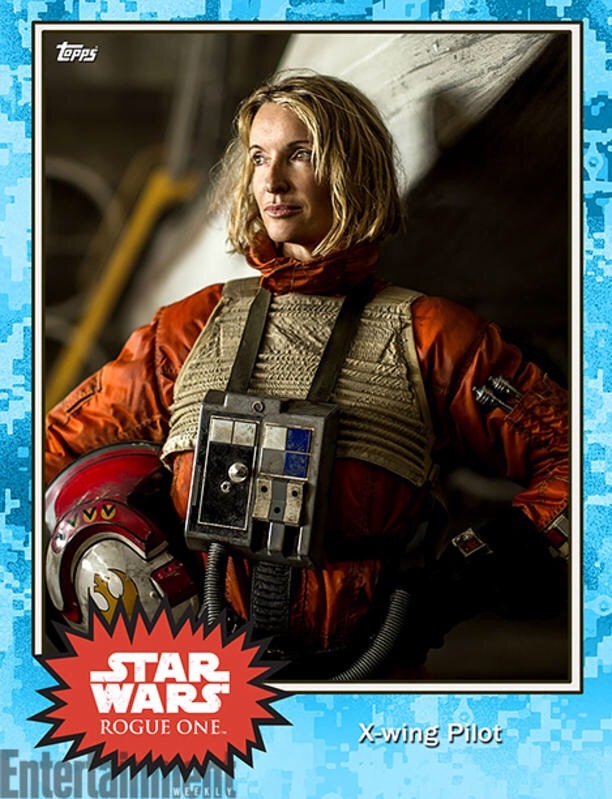 Among them is a woman X-wing pilot who bears a striking similarity to Evaan Verlaine. For many fans, the next question is, who’s Evaan Verlaine? 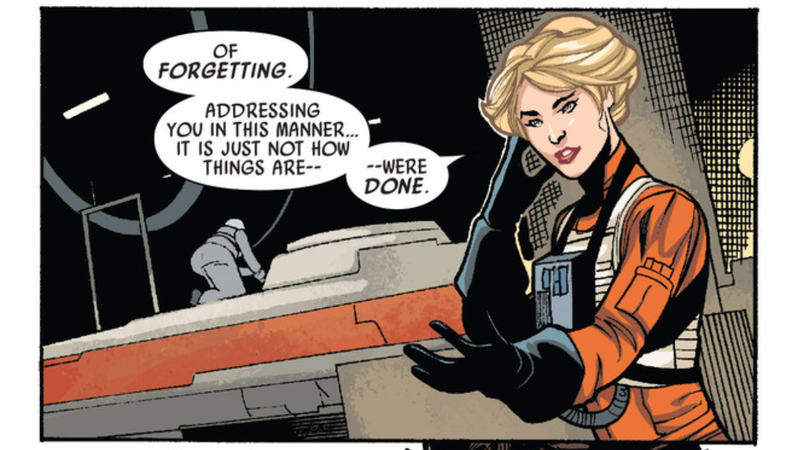 Evaan Verlaine was introduced to the Star Wars universe in Marvel Comics’ Princess Leia mini-series from 2015. Written by Mark Waid with art by Terry Dodson, Evaan Verlaine was featured in the Leia centric series as an X-wing pilot from Alderaan, who initially takes Leia to task for not appearing emotionally affected by the loss of their home world. Immediately thereafter, Leia recruits Verlaine to join her on a mission to find and protect her subjects who were off planet at the time of its destruction in A New Hope. With the conclusion of the mini-series, it seemed as if Verlaine would pass into history as a character created for a few issues and never seen again. That changed earlier this year with the publication of Chuck Wendig’s Aftermath: Life Debt. Verlaine’s appearance in Life Debt was both a surprise and limited to only a few pages, but it breathed life into Evaan’s character as one that might continue to pop up in the expanded Star Wars universe. Her presence in Wendig’s work was related to where Princess Leia had left Verlaine, helping to lead the collected survivors of Alderaan and the former X-wing pilot joins Leia on one more adventure to save Han Solo. Again, after her short appearance in Life Debt, Evaan Verlaine quietly returned to the periphery of the Star Wars universe. 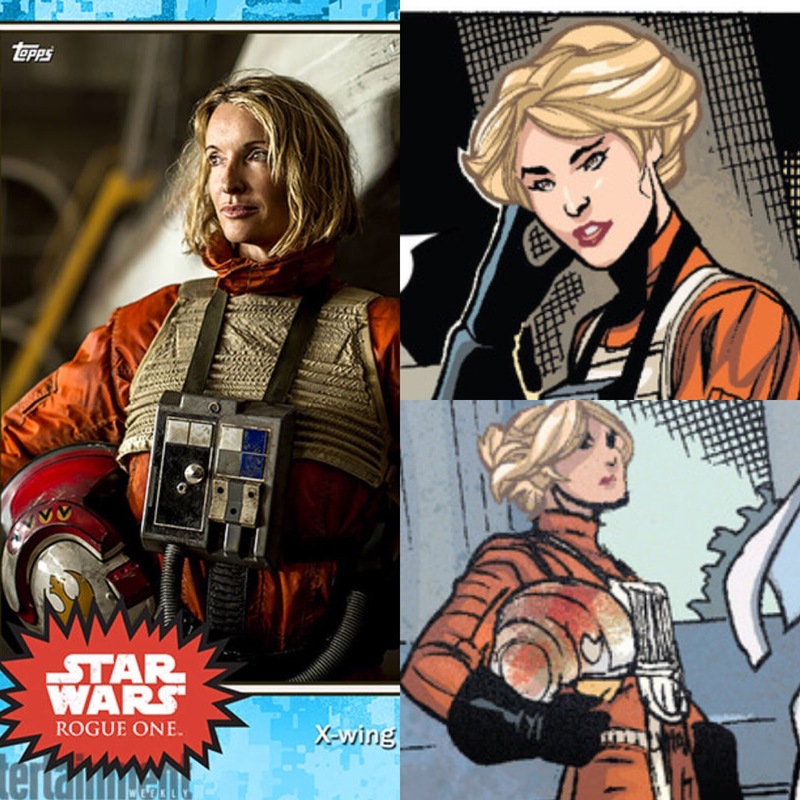 Then Entertainment Weekly dropped the image of a female X-wing pilot with blonde hair, blue eyes, and a helmet that bore similar markings to the helmet Verlaine is shown holding in the comic. Do we know it’s Evaan Verlaine? No, but it would mark an incredible jump from printed page to film if so, and offer further proof that the Lucasfilm Story Group is serious about connecting its various Star Wars properties, such as placing Saw Guerra from The Clone Wars in Rogue One. Only time will tell if we will be meeting Verlaine in the cockpit of an X-wing this December. We can’t say whether we heard Gold Three mentioned in the film, but the image indicates that Verlaine was considered for inclusion. Head scratchingly, Gold Squadron was comprised entirely of Y-wings, which would mean Evaan switched crafts after the Battle of Scarif. You’re right, for some reason I had it in my mind she was an X-wing pilot. Thanks for chiming in! INan new hope they had to work with what they had meaning limited xwings. I would imagine that making it back in a young from that battle she got promoted to an xwing. According to many sources, Keyan Farlander was the pilot in the surviving Y-Wing in ANH. 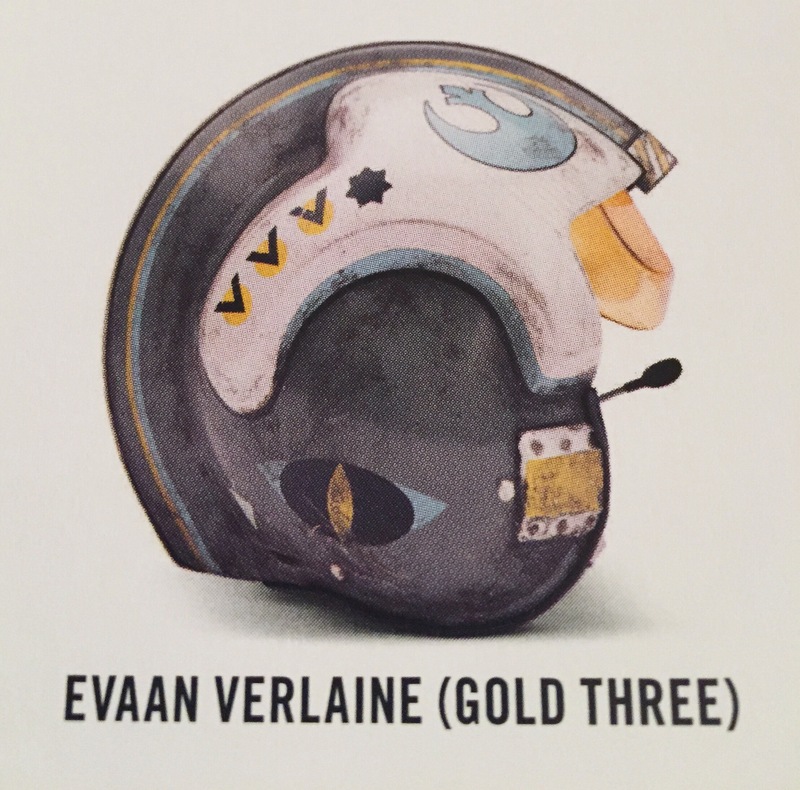 This may have been true originally, but under the new canon in place since about 2014, Evaan Verlaine is noted as the surviving member of Gold Squadron.